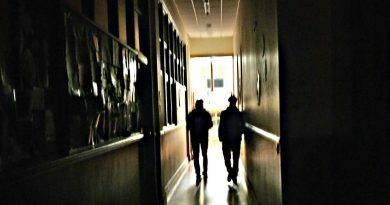 Bhí an traidisiún láidir gaeilge i gColáiste an Rísigh i gcónaí agus is ag dul i dtreise atá sí. Ag tús na bliana seo chuir Roinn na Gaeilge isteach ar scéim dar teideal “Gaelbhratach” arís. 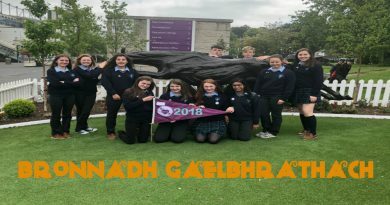 Is scéim réasúnta nua í seo faoi chúram ag Foras na Gaeilge , Gael Linn agus Conradh na Gaeilge. Cuireadh coiste daltaí agus plean gnímh le chéile agus ar aghaidh linn ar aistear úrnua. Le linn na bliana eagraíodh Comórtas na bPóstaer, Díolacháin císte, “Gléas suas don Nollaig”, “Gaeilge 24” agus tá sé ar intinn againn Tobshlua, Cuairt ar Bhunscoileanna áitiúla agus clár raidio a eagrú. Gabhaimid ár mbuíochas le húdaráis na scoile as ucht an urraíocht agus an tacaíocht. 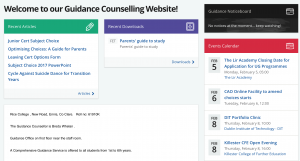 Tá an Gaelbhratach ar foluain sa scoil agus is cúis onóra í dúinn go léir. 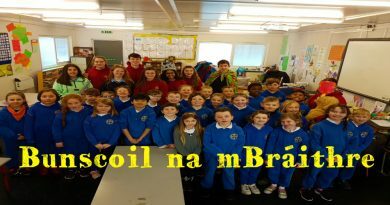 Rice College was awarded the ‘Gaelbhratach’ for the second year in a row at the end of the last academic year, in recognition for their work in the promotion of the Irish language.This is a relatively new scheme in conjunction with Foras na Gaeilge, Gael Linn and Conradh na Gaeilge. A committee consisting of students was put together facilitated by the members of the Irish department, composing an action plan to organize events throughout the year. 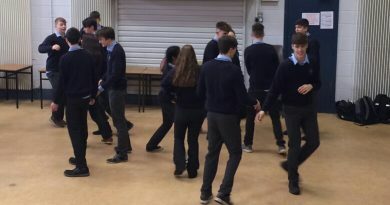 Such events included poster competitions, cake sales, fundraising activities for local charities, a flash mob, a sports day with Gaelcholáiste Luimnigh, visits to CBS primary and Kilmaley National School and a radio show as Gaeilge featuring the musical talents of Rice College students. Séamas Mac Conmara was awarded the ‘Gaeilgeoir na Bliana’ award, recognizing his participation in various activities during the year and for also winning the comórtas comhrá during Seachtain na Gaeilge at Féile na hInse. Students and teachers travelled to Dublin on the 29th of May 2017 to accept their award, the culmination of a year’s hard work. 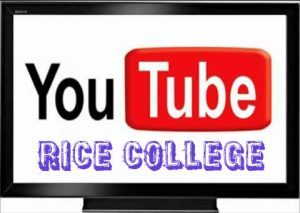 Rice College also hopes to be awarded a third Gaelbhratach at the end of this academic year (2017/2018) and a committee of motivated and enthusiastic students has been formed to promote activities as Gaeilge around the school. 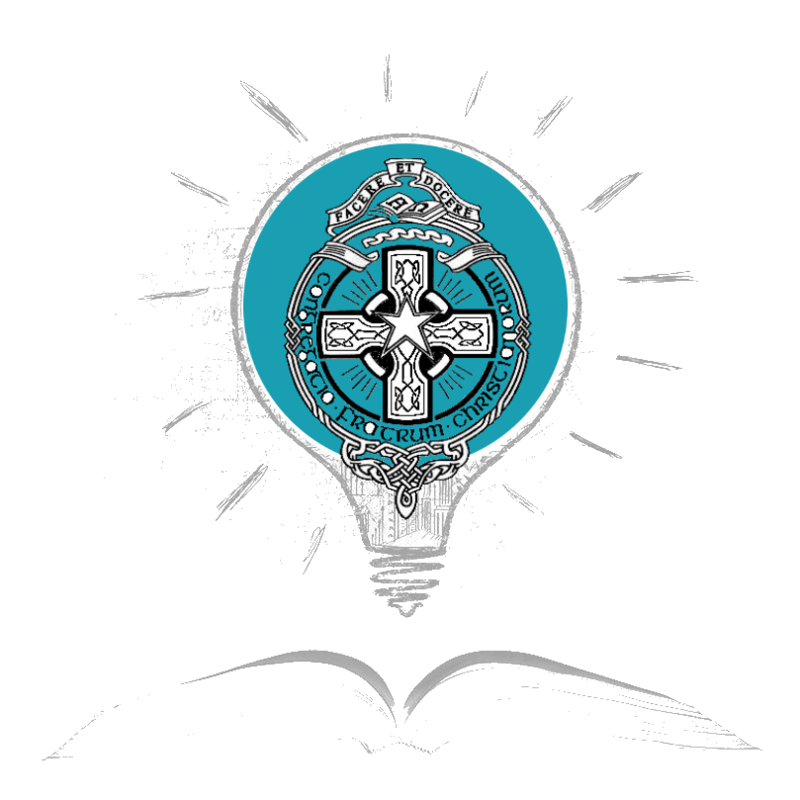 The Gaelbhratach committee would like to take this opportunity to thank Mr Louis Mulqueen and Mr John Burns for their support throughout, and also Mr. Dara Glynn (principal of CBS Primary School) and Mr. Leonard McNamara (Principal of Kilmaley National School) and Ms. Joan Hanrahan (Clare FM) for facilitating future visits and events throughout the coming academic year. Tá an Gaelbhratach ar foluain sa scoil agus is cúis onóra í dúinn go léir. Mar a deirtear, is linne í an Ghaeilge! 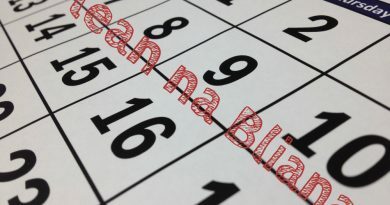 Lucht na hIdirbhliaina ag damhsa seit le déanaí, chun Bliain na Gaeilge 2018 a chomóradh!